The internet is such a huge thing, with millions of voices and opinions shouting for your attention. But, it is no where near all bad. There is good content that encourages me, challenges my thinking, and makes me laugh. 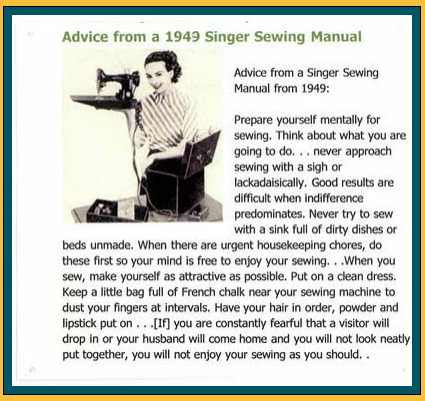 source because, seriously, who has time to do all this AND sew? How to Stay Sane on the Internet by Emily Freeman. She includes a 15 point manifesto on what she will and will not do on the internet. So practical. Burn the Candles by Shauna Niequist. A reminder to do the special for our own enjoyment. Countdown to Church by Mornings with Jesus. I busted a gut over this. When You Can't Shake, Shake, Shake it Off by The Gospel Coalition. I think the thought shared in this article about praying for another's pain when our own unforgiveness and and bitterness surface, is so practical. Surviving Whole Foods by Kelly MacLeari. I think there may be some language but it's satire at its best. I've been having fun these past few weeks playing with my new camera lens and many new recipes. We have tried 5 new recipes this week. I can't even remember what our old favorites used to be. We have so many new favorites that I have discovered in the past year or two. One of our new favorites is stir-fry. I shared the Chicken Asparagus Stir-fry a couple weeks ago. I like stir-fry because they are generally fairly quick dinners. They are chock full of vegetables. And they are mostly gluten-free and dairy-free. Not that either are a factor in how I feed my family, but they are great recipes to have on hand for company. 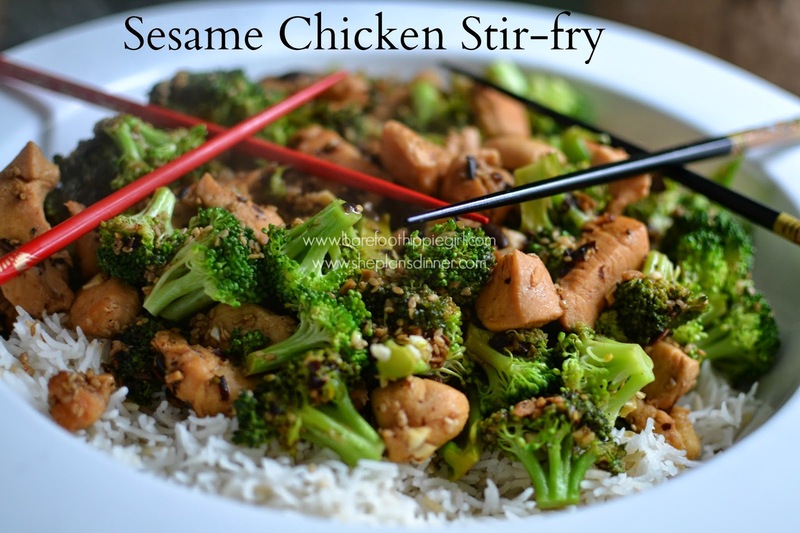 Today I am sharing another stir-fry recipe. 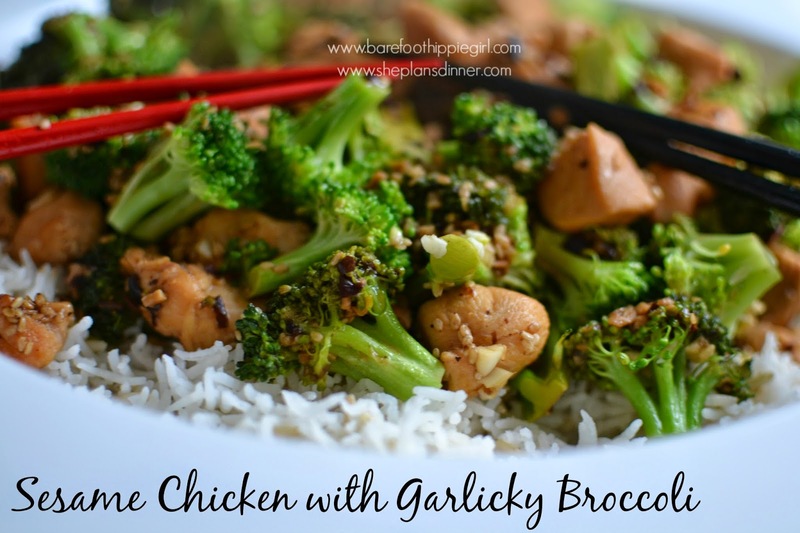 Sesame Chicken and Garlicky Broccoli. 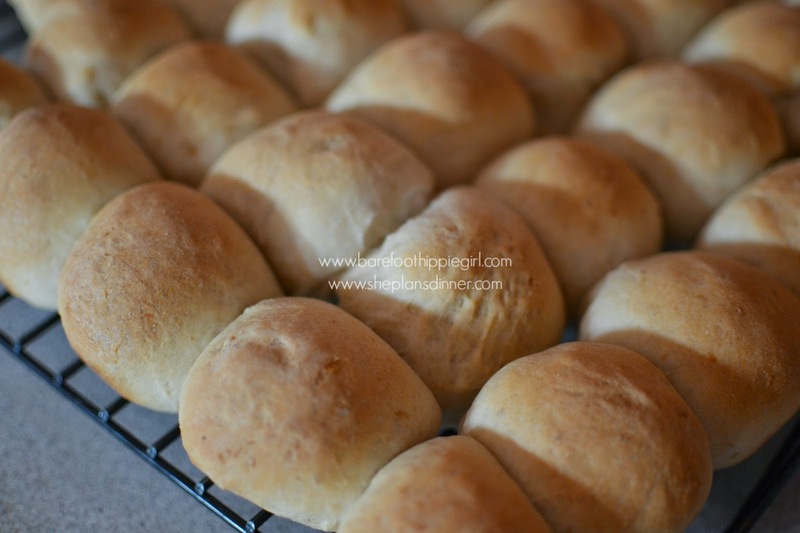 It only has 8 ingredients, so it is fairly streamlined and simple. What I like about actually cooking this recipe is the smell of the sesame oil as you heat it in the pan. It is a slightly toasty scent, reminiscent of bagels. So, for stir-fry, the most time consuming aspect is the chopping of the veggies. This one only had broccoli, which made it quick. I have another stir-fry to try one of these days. It has carrots, 2 kinds of peppers, onions, broccoli and maybe even asparagus. That's a chopping time commitment. -Cut the chicken into 1” pieces. Chop the broccoli. -Heat the oil in a large skillet over medium heat. Add the chicken and cook, stirring, until golden brown on all sides, about 5 minutes. -Add the sesame seeds and stir to coat the chicken with them. Cook 1-2 minutes, until the seeds turn golden. Add the broth, black bean sauce, and pepper, and bring to a simmer. Cover the pan and cook until the chicken is cooked through, about 5 minutes. -Sprinkle the garlic powder over all the broccoli, and arrange the broccoli over the simmering liquid. Cover and simmer until the broccoli is crisp-tender, 3-5 minutes. Serve over rice (brown or white) with salad if desired. *I actually used 8 garlic cloves instead of garlic powder, bc I didn't have garlic powder. It worked just fine.